If you ask any professional footballer where his dream transfer would be, the answer in an overwhelming majority of cases would be Real Madrid. 10 European Cups, 32 La Liga trophies, and voted FIFA’s Club of the Century, they are currently the most valuable football club (and sports team) in the world, estimated to be worth $3.2 billion. 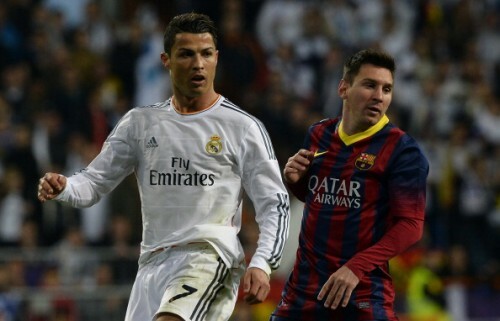 They make almost $100 million more in revenue annually than the next club on that list, fierce rivals Barcelona. It’s fair to say that Real Madrid are the biggest club in world football, and most players would consider playing at the Santiago Bernabéu stadium as the pinnacle of their career. Real Madrid and Barcelona have together won 55 of the 84 available La Liga titles, creating a duopoly in Spain that has allowed these two clubs to become the biggest clubs in world football today. Of course, there’s more to this situation than meets the eye at first glance. Madrid and Barca have been able to create and sustain this dominance of the league (and indeed, European competition) due to a variety of economic, structural and political factors. The first and most obvious competitive advantage that they have enjoyed has been the structure of the TV revenue distribution in Spain, which mandates Spanish football clubs to individually negotiate broadcasting deals (as opposed to the collective bargaining system followed in England and Germany). This allowed the two Spanish giants to take almost 50% of the TV money (£204m of the £550m pot) available to all Spanish clubs, creating a gap in revenue that made any form of competition among the smaller clubs next to impossible. This makes Atlético Madrid’s 2013/14 La Liga victory even more significant, as it was done on a budget much smaller than the two Spanish giants. However, recent changes to the Spanish broadcasting deal have meant that this advantage will be slightly eroded in the upcoming seasons. The other big factor behind the scenes that sustains this level of domestic dominance is the structure of the club’s ownership. Unlike most clubs in La Liga, which are registered as private limited companies (PLCs), the big two (as well as Athletic Club Bilbao and Club Atlético Osasuna) are registered as member-owned non-profit sports organisations. The members of Real Madrid are called socios, and the club is owned entirely by them. This is evident from the fact that the board of directors was elected and decided even before the founding of the club in 1902. It was founded as Madrid Football Club in 1902 but changed its name to Real Madrid after the grant of royal patronage by King Alfonso XIII in 1920. It was decided before the formation of the club that business decisions, as well as the ownership of the club, would be in the hands of its members. Fan ownership models were rather common throughout Spain previously. 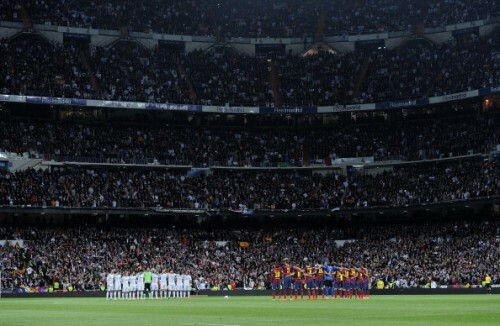 In 1992, however, the Spanish government passed a law that caused the end of most fan-ownerships over football clubs. Ley 10/1990 del Deporte, through its Article 19.1 made it mandatory for professional football clubs to become privately-owned PLCs from June 1992 for the 1992/93 season of Primera División, and subsequent seasons onward. That law also made four exceptions though. 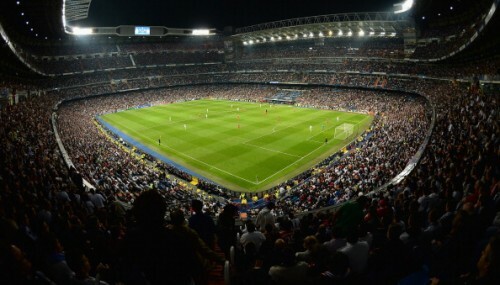 A club would be allowed to maintain its existing legal organisational structure if it could be shown that it was turning a profit for the previous five years (starting from 1985/86 season), in audits performed by LFP (Liga de Fútbol Profesional) and operations as member-owned non-profit sports associations. As a result of this exception, the four clubs previously mentioned were allowed to keep their differing legal organisational structure. In addition to this, Real Madrid, Barcelona and Athletic Club Bilbao were also given recognition due to the ethnic groups that form an integral part of the clubs’ culture, traditions and support base. The socios, or the fans, control all aspects of the club (either directly or indirectly). They are the ones who vote for the President and Board of Directors of the club. 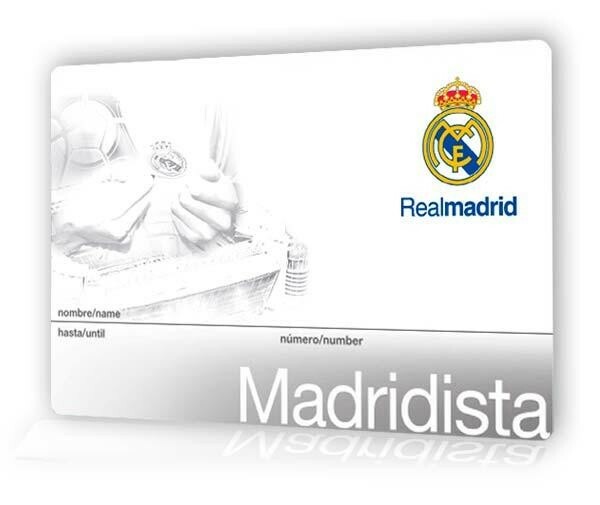 As of the 2014 annual report, Real Madrid has around 91,000 members that paid on average €123 per year for member privileges. Any person who has been a member for over 50 years is exempt from paying membership fees. It is not just enough to pay the requisite fee to obtain membership. Any prospective new members must also be recommended by two existing socios to finalize their application for membership. Membership privileges include the right to vote, as well as easier access to tickets. Like most fan groups, socios would be subject to disciplinary action for failure to pay any due fees or failing to adhere to a proper code of conduct. Naturally, any decisions that require the voting of more than 90,000 people would be a cumbersome process. Thus, the socios hold an election to form a Member Assembly, which comprises of around 2,000 members elected by the socios for four-year terms. The Member Assembly’s main responsibilities revolve around the financial facets of the club, such as framing and approving the club’s budget for the season. The Member Assembly also has certain other powers such as the ability to discipline the club President, as well as authorising the club to borrow money to suit its needs as and when needed. The President is elected as the head of an electoral group that also includes the Board of Directors. The Real Madrid Statutes (the documents that govern the functioning of the club) state that the President must be Spanish (at the time of election) and a member of the club for ten or more consecutive years. To be eligible to run for election, the candidate must give a substantial bank guarantee. A bank guarantee is a promise from a bank or other lending institution that if a particular borrower defaults on a loan, the bank will cover the loss. 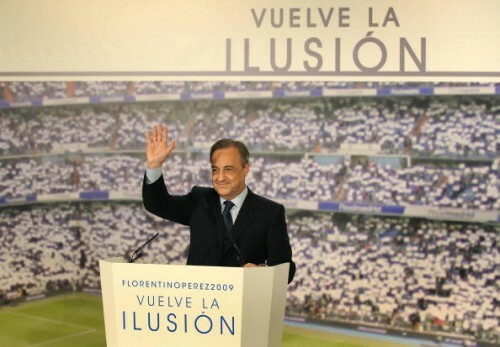 When Florentino Perez ran (and subsequently won) in 2009, the bank guarantee he had given amounted to about €57 million. The structure of Real Madrid ensures that there is a high level of fan involvement and engagement. The sums of money needed to run for office have also ensured that the elected members (and, therefore, the ones tasked with managing the finances) are highly successful businessmen. For example, before venturing into football, Florentino Perez was a highly successful construction magnate. The commercial awareness of the club’s directors has ensured Real Madrid’s placement at the top of the Deloitte Football Money League, as well as turning it into the largest revenue-earning team in professional sport worldwide. At a cultural, social and ideological level, fan ownership models are ideal for football clubs. It ensures that the institution remains in the control of its most important asset. With regard to the Real Madrid model specifically, the permission to retain their fan-owned socio status has given them certain other financial benefits as well. The retaining of socio status means that the four clubs in question are subject to only a 25% corporate taxation rate, as opposed to the 30% paid by other clubs. The socio model also allows for flexibility in the accounting of debts and losses, as these may be spread over the members and not directly on to the club itself. However, fan ownership models that are competitively successful are generally only suitable for the largest clubs in a particular region or country. Smaller clubs that run on a fan ownership model will not be able to generate the revenues that would be needed to compete against clubs with a larger support base. Fan ownership works best when all the clubs in the league are at least evenly supported. The most obvious example of this is in Germany, where legislation mandates that at least 51% of all clubs are owned by the fans. The result of this is the cannibalization of what used to be the most competitive major league in Europe, with Bayern Munich seemingly on a procession to the title every year. Bayern have always been the biggest and most well-supported club in Germany, but the new rules allow a consolidation of that advantage to never-before-seen levels. The correlation between fan ownership and competitive success has also been examined multiple times by various economists at an academic level as well, reaching the same conclusions. Recently however, the European Union has begun a probe into the manner in which these clubs are run, based on claims that the Spanish government has been giving them (and other Spanish clubs) millions of Euros in tax breaks. It is claimed that this amounts to illegal aid by the Spanish government to football clubs. It is estimated that the rest of the Spanish league owes around €660 million in unpaid tax to the government. This does not include the tax debts of the four fan-owned clubs, which are exempt from this under the 1990 law. Also under the scanner are the apparently favourable deals that allowed Real Madrid to purchase land for the construction of its new stadium. Regardless of the outcome of such an investigation, there doesn’t seem like there is much for fans of Real Madrid to be worried about. As a cultural institution as well as a sports team, Real Madrid are too big to fail, and their continued commercial growth and success only further substantiates that. Recent events may only have weakened their hegemony over the Spanish football league (and European competition), but their fan-ownership model combined with the favourable financial structures it creates for them means that they will always be competing at the very top.